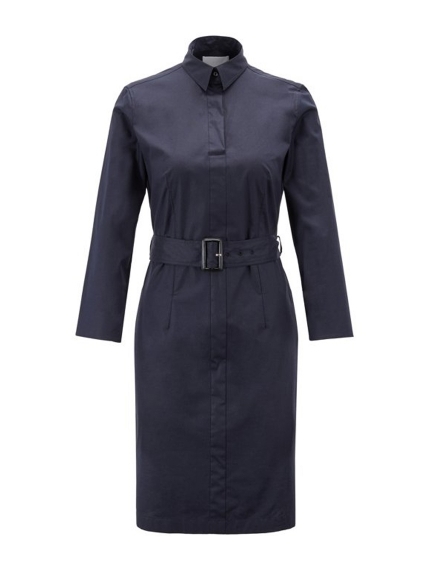 A modern spin on the authentic shirt dress, the Daliri Dress by Hugo Boss is inspired by the trench coat. This flattering dress is crafted in stretch cotton with a buckled belt, a concealed placket and a point collar. Three-quarter-length sleeves give this tailored dress a summery feel.